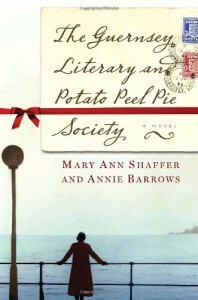 The Guernsey Literary and Potato Peel Pie Society - Mary Ann Shaffer - review - So Many Books...So Little Time! I read several other reviews and recurring through many of them were the words "wonderful", "charming", and "delightful". I have to say that I agree with that assessment! Loved it!